National Player of The Year were announced. RHP Logan Gilbert, Stetson (Pitcher of Year Atlantic Sun Conference). RHP Nick Sandlin, Southern Mississippi (Pitcher of Year Conference USA). RHP Brady Singer, Florida (Pitcher of Year Southeastern Conference). RHP Joey Murray, Kent State (Pitcher of Year Mid-American Conference). Relief Brooks Wilson, Stetson (Player of Year Atlantic Sun Conference). C Joey Bart, Georgia Tech. (Player of Year Atlantic Coast Conference). 1B Bren Spillane, Illinois (Player of Year Big Ten Conference). 2B Kody Clemens, Texas (Player of Year Big 12 Conference). 3B Luke Reynolds, Southern Mississippi (Player of Year Conference USA). OF Devlin Granberg, Dallas Baptist (Player of Year Missouri Valley Conference). DH Kevin Strohschein, Tennessee Tech. (Player of Year Ohio Valley Conference). UT Jordan Qsar, Pepperdine (Player of Year West Coast Conference). 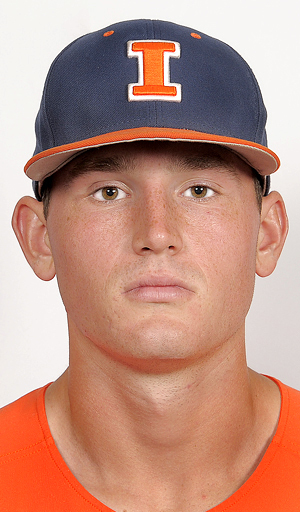 Bren Spillane of Illinois is Collegiate Baseball’s National Player of The Year (.389, 23 HR, 17 2B, 60 RBI, 16 SB). He leads the nation in slugging percentage (.903), On-Base Plus Slugging percentage (1.401), home runs per game (0.46) and weighted on-base average (.569). Spillane is the first NCAA Div. I player since 2009 to have a slugging percentage over .900. He is No. 2 in Big Ten history in season slugging percentage behind Darrin Fletcher of Illinois in 1987 (.913). 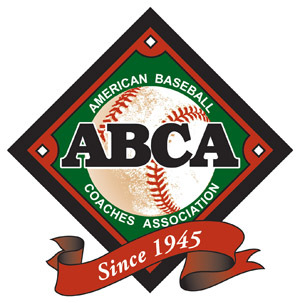 The first team features the nation’s leaders in several categories, including: Luke Heimlich, Oregon State (14 wins), Kevin Strohschein, Tennessee Tech. 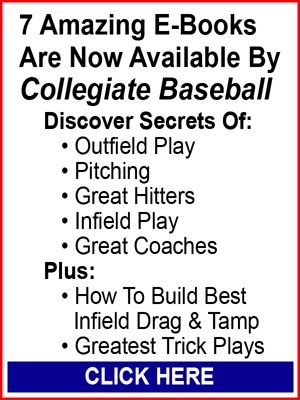 (102 hits, 179 total bases), Gage Canning, Arizona State (11 triples), Luke Reynolds, Southern Mississippi (.562 on-base percentage, 63 walks), Nick Sandlin, Southern Mississippi (1.13 ERA, 0.69 WHIP), Brooks Wilson, Stetson (20 saves) and Joey Murray, Kent State (4.47 hits allowed per nine innings). 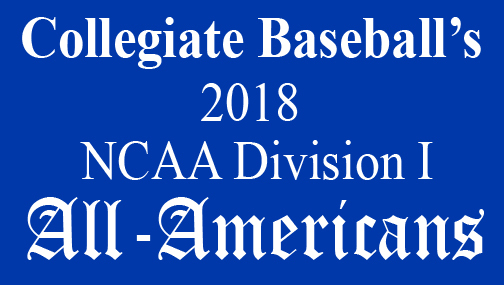 To view the 2018 Collegiate Baseball All-American selections, CLICK HERE. 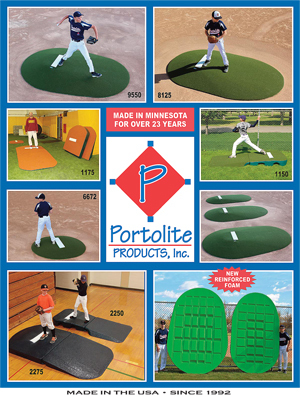 To purchase the June 15, 2018 edition of Collegiate Baseball or subscribe, CLICK HERE. 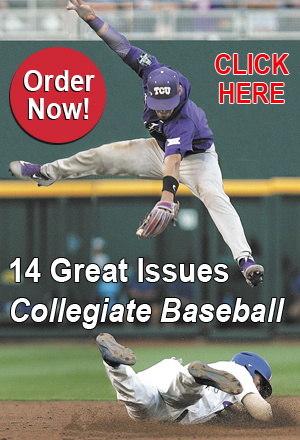 This edition will include the complete All-American layout with photos and will also include the Freshmen All-Americans along with much more in our College World Series preview edition.